FRSKY FAS-100A AMP SENSOR - $16.00 : RC Hobbies at Extreme RC Electric flight Specialist, best range of ducted fan EDF jets in Australia! FrSKY SENSOR HUB CLEARANCE SALE! 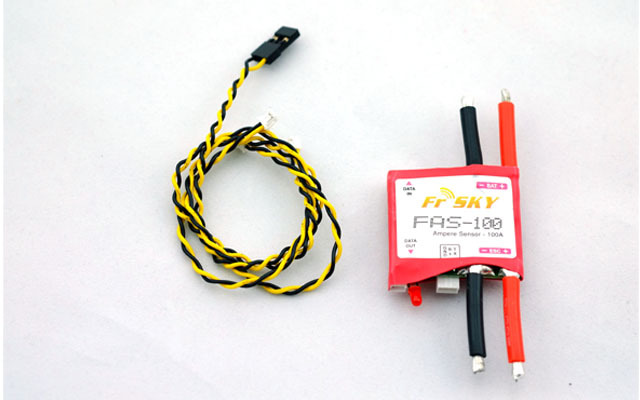 FRSKY Amp sensor, 100A max rating, add your plugs and plug it in between your battery and ESC to monitor your amp draw in real time! This version runs off the sensor hub, not S.port, we are waiting on a convertor that will allow connection to the X8R receiver without the need of the sensor hub.